My goodness, I can't believe how long it's been since I've regularly blogged here. 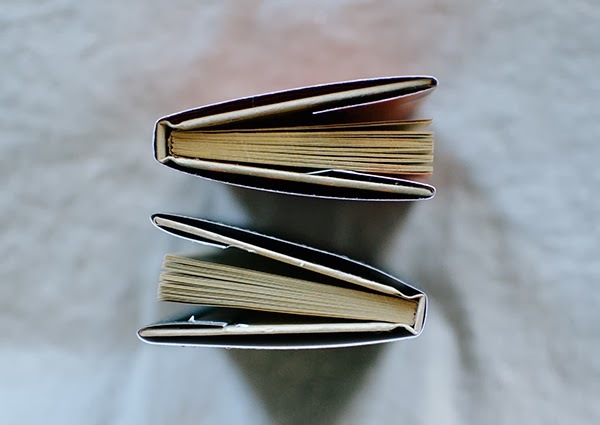 This season of life has been full in so many ways (more thoughts on that later), but seriously, I've really missed sharing ideas here and keeping up with all my favorite blogs. The team at Martha Stewart recently contacted me about sharing a craft idea this month, and my instinct is to pass on this type of thing (I tend to freak out and wonder what the heck to make, plus I don't accept freebies through blogging), but I just had a feeling this would be a fun push to jump back into blogging again (and it definitely was -- here I am!). So, they sent a box full of fall-themed MS craft products to create a project with, and after admiring all the goods, I'm planning to donate or pass them on after this. Here's what I put together! 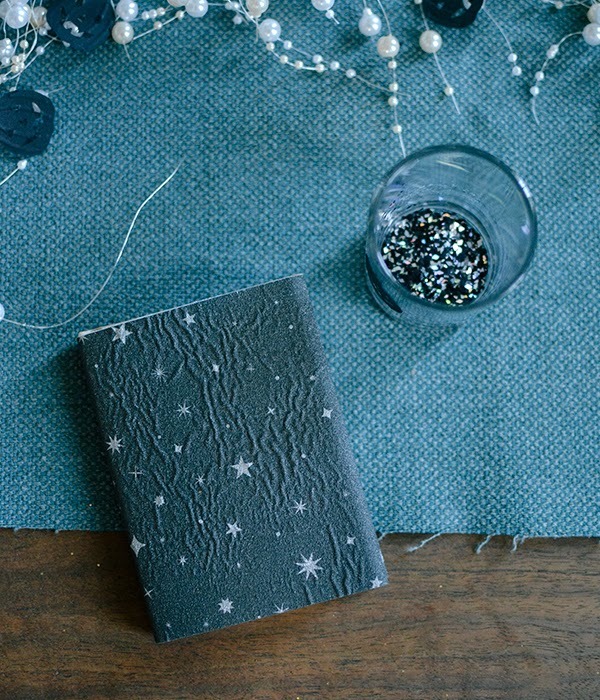 I've had these tiny plain notebooks from the craft store for the longest time, and thought they'd be perfect to decorate as favors or small gifts. I used paper from the MS Halloween pad, which includes textured pages like awesome felted cats (which I cut & glued to one cover), and glittery star paper & other fun designs that I wrapped like book covers. So cute and simple to make! 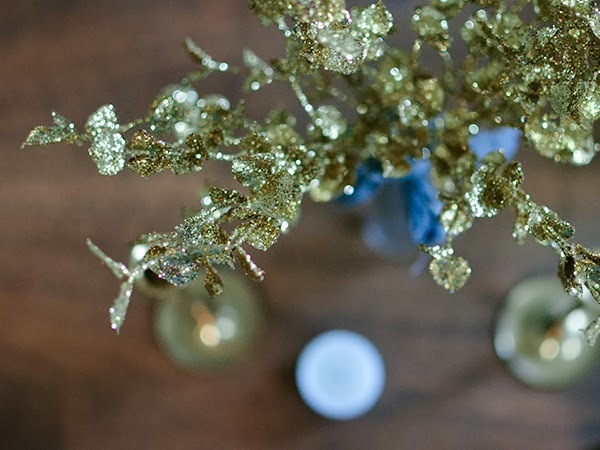 I styled it into a little table setting using some things I had on hand: a blue table runner, pearly garland, a vase of gold leaves, and pumpkins. 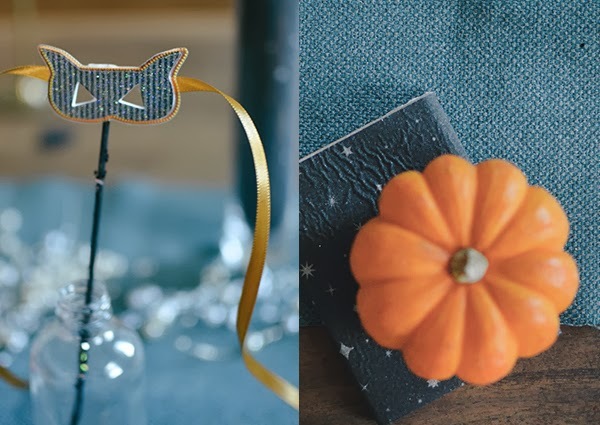 I used a MS mini punch to make pumpkin confetti (gluing some of them onto votive holders filled with glitter), and stuck their masquerade masks onto painted skewers along with gold ribbon. 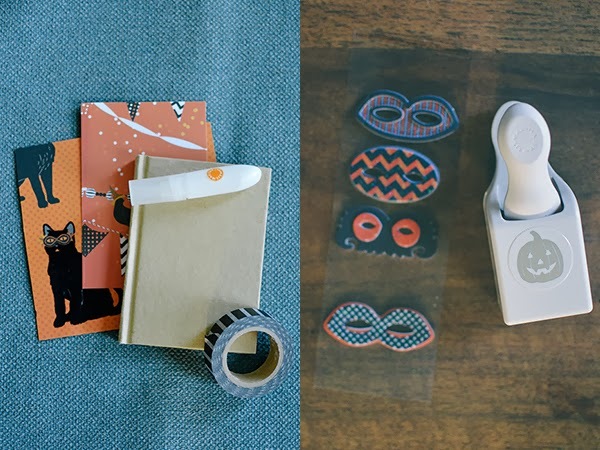 It was fun getting a chance to put this together, so I might share another post using more of the supplies before deciding where to pass them on (thank you again to Martha's team!). And thanks, friends, for sticking by here. Happy crafting and especially, happy October! 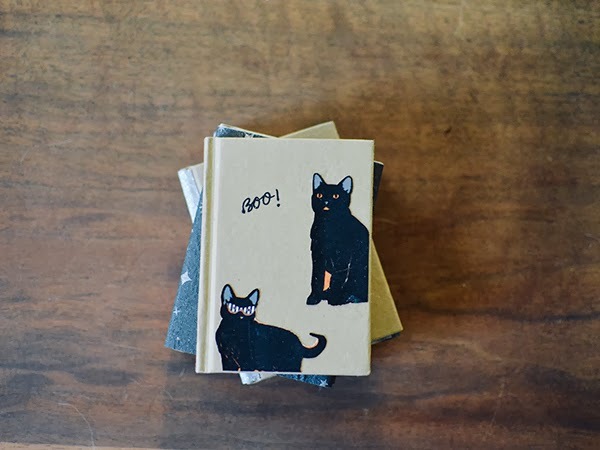 The notebooks you decorated are adorable - and welcome back! Yes, welcome back! This is a home run with the colors & styling, I love the way these turned out! Happy October! Creativity level max. Fantasy dressed in autumn. Love it! You may like my blog, http://laurart-tea-session.blogspot.com/ ..Happy autumn! So darling! Love the creativity in them :). Hello Alli! I hope you are having a wonderful holiday season. I came in search of a Christmas post, lol.